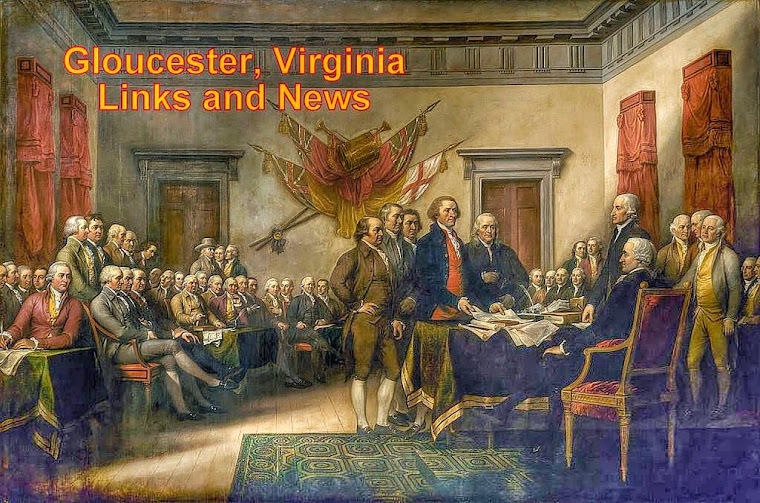 Gloucester VA Links and News: Ted Wilmot And Board Of Supervisors Lie To Public Again? Ted Wilmot And Board Of Supervisors Lie To Public Again? This above PDF document was posted 6 months ago on SlideShare and comes from Gloucester County. It's their own documentation. Back in the beginning of this year, 2013, the board of supervisors held a hearing to update animal control laws to get them in compliance with state law. Well guess what, it looks to us like they all lied. 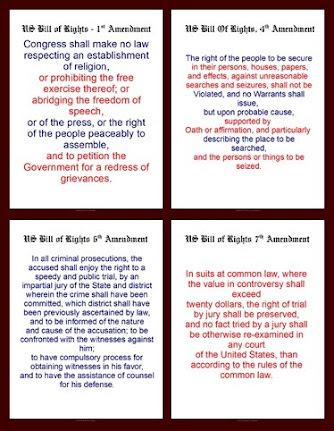 Ordinance 3-15 which was one of our areas of major contention, has been brought back and is once again out of compliance with state laws from what we see. Below is a screen shot dated that shows the ordinance has once again been renamed and is not what the Board of Supervisors passed in a meeting back in February of this year. 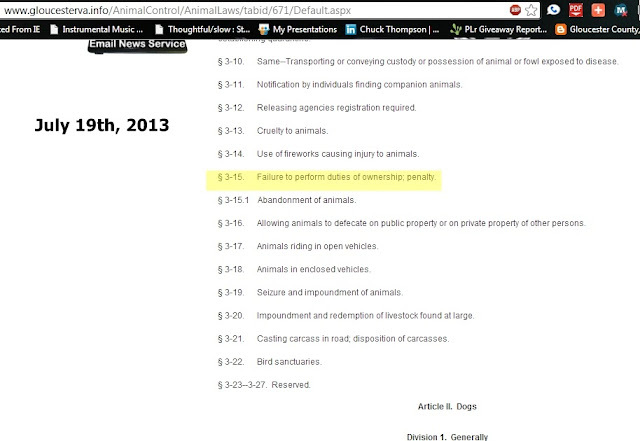 We show in the screen capture that it's directly from the county animal control website where this violation exists. 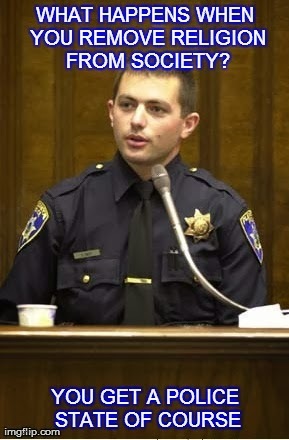 In the SlideShare PDF above, it the ordinances as passed by the Board of Supervisors in February. Read through it and it is very clear that someone has altered the wording once again and on purpose in our opinion. 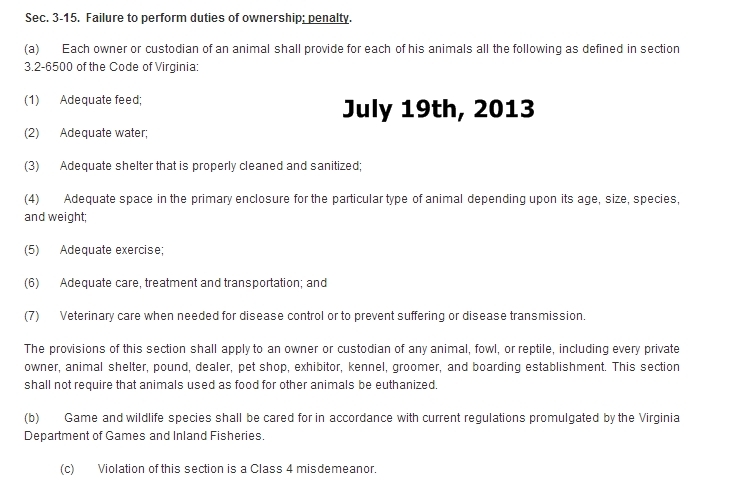 The wording according to the board of supervisors, as passed by them, is to read, "Care of companion animals". Not "Failure to perform duties of ownership". There are legal differences in the heading that have significant meaning. For now, you can see the violation on the county website here. 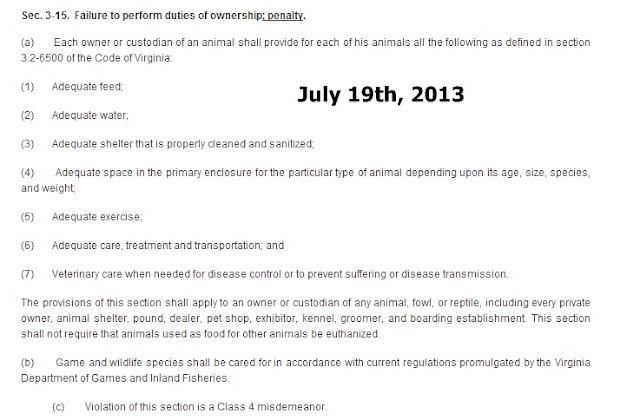 We turned the animal control laws section of the website into a PDF and posted it on SlideShare. You can see from the two PDF files, that they do not agree. Here is what the law says on the county site. The ordinance itself is fine and matches state law, but the title is in violation from what we see and is not what the Board of Supervisors approved. Someone is up to no good and in our opinion, it is on purpose and done to cheat Gloucester County residents that own animals. Does this make you mad that the county is pulling a fast one on everyone? Sound off to the board. Here are their email addresses. Now of course we are sending all of this to the county board of supervisors as well as the local paper who will not report anything on it whatsoever. But at least you will know what is really going on. What you won't read anywhere else. It is the job of twitching Ted Wilmot to make sure that the laws and or ordinaces on the site meet compliance. Ted failed here. It is Brenda Garton's job to make sure that the ordinances on the site also meet state law, Brenda failed in this. The Board of Supervisors also have obligations to make sure that the ordinances were properly posted. They failed in that job. Both Brenda Garton and Twitching Ted Wilmot received raises totaling over $14,000.00 per year. Yet with all the money going to these two alone, they failed to protect the citizens and instead allow a violation to the public trust to stand. In our opinion, on purpose. In our view, this was no mistake. 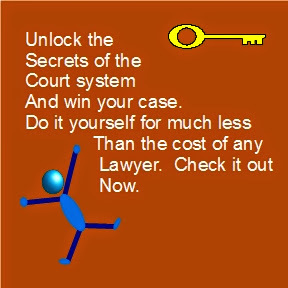 As always, we are not lawyers and this is not an interpretation of the law. Plus One This Post, Facebook Like It, Tweet It, Email it, send emails to the Board of Supervisors, county administrator or Twitching Ted Wilmot the county attorney who says he's not an attorney. Spread the word and do not let them get away with this. Send a letter of complaint to the county.